Welcome to the 15th Annual Shamrock Skate! 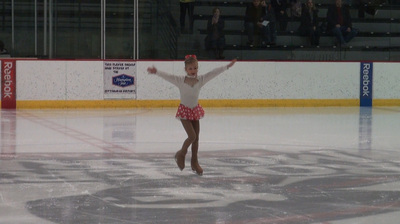 Roughly 150 competitive ice skaters participated in the Robert Morris University Island Sports Center's annual Shamrock Skate competition on Saturday, Mar. 28. This year marks the 15th consecutive year that this Ice Skating Institute (ISI)-endorsed event returns to the Neville Island rink. A variety of recreational ice skating events and levels will be available during this one-day competition with skaters ages 4 to 17 taking the ice the ice for open freestyle, freestyle 1-10, tots 1-4, stroking, spotlight, learn-to-skate and compulsory moves programs. Events ran continuously from 8 a.m. to 3:30 p.m. on the 84 Lumber Arena and 8 a.m. to 1:30 p.m. on the Olympic Arena. special thanks to all the volunteers that helped out during the day to make the competition a huge success. You can order any event on DVD or Digital File. You can simple download it from our website and then you can upload to Facebook or any social media and share with friends and family in minutes. Files are in High Definition 1080 and 720p. For more information about ordering video please send us an email and we will be happy to answer any questions for you. Neville Island’s annual recreational ice skating competition, 2014 Shamrock Skate, was held this weekend at the Robert Morris University Island Sports Center. Endorsed by the Ice Skating Institute (ISI), this one-day competition is expected to draw almost 200 competitors from several local rinks, including the Robert Morris University Island Sports Center, Beaver County Ice Arena, BladeRunners, Center Ice Arena, the Ice Connection of Pittsburgh, Kirk S. Nevin Arena, the Meadville Figure Skating Club, North Park Ice Rink, Planet Ice, and Valley Sports Complex. 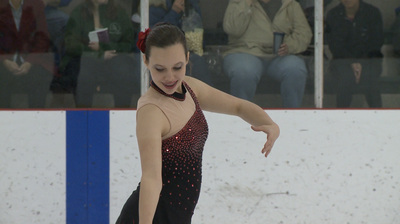 Ohio skaters representing Boardman’s Ice Zone and the Skating Club of Greater Youngstown. Events offered include free skating, open freestyle, compulsory moves, spotlight, tots, and stroking. This is the 13th year for the competition. If you are interested in joining next years Shamrock Skate Competition you can contact... www.rmuislandsports.com or contact Island Sports Center skating director Beth Sutton at sutton@rmu.edu or (412) 397-4469.